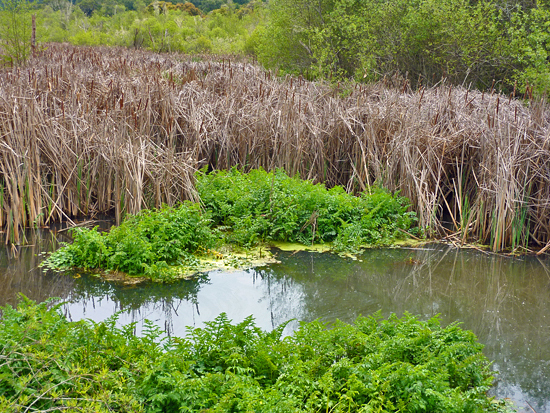 A wetland characterized by frequent or continual inundation dominated by herbaceous species of plants typically rooted underwater and emerging into air (e.g., cattails, rushes), excluding mosses and lichens. This vegetation is present for most of the growing season in most years. Perennial plants usually dominate these wetlands. All water regimes are included, except sub-tidal and irregularly exposed.